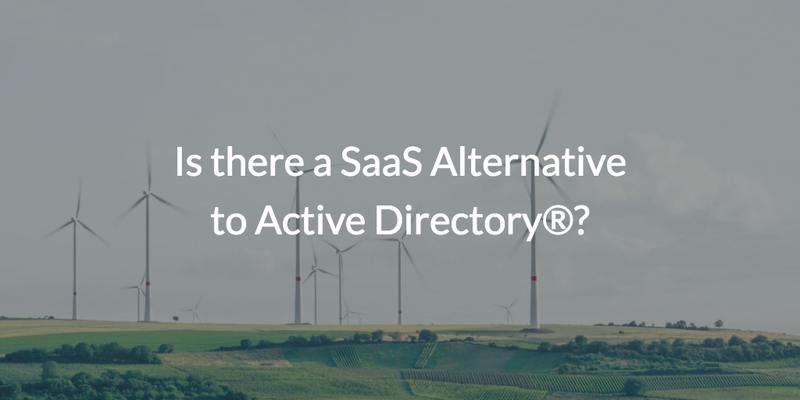 Is there a SaaS Alternative to Active Directory®? Home » Blog » Is there a SaaS Alternative to Active Directory®? Microsoft® Active Directory® (AD) is one of the most popular IT management tools on the planet. Arguably, Microsoft has more market share with AD than with any other solution that they sell. As IT organizations make the shift to the cloud, the question becomes whether there is a SaaS alternative to Active Directory. The short answer is yes. There is a next generation cloud-based directory service that is an alternative to the on-prem AD solution, and it’s called JumpCloud® Directory-as-a-Service®. So, let’s take a look at why IT is on the hunt for a SaaS alternative to Active Directory, and why they should consider implementing JumpCloud. When Microsoft first released Active Directory, office environments were mostly comprised of Windows® systems, Microsoft Office™, Microsoft Exchange, and on-prem infrastructure. So it made sense that these were the resources Active Directory was built to integrate with, and provide secure user and system management. It worked so well that it didn’t take long for almost every enterprise to adopt a Windows network and use Active Directory to manage it. However, technology doesn’t have a reputation for staying the same for very long. Will a SaaS Alternative to Active Directory Work for Modern IT? Over the last two decades, new IT resources have emerged that have disrupted Active Directory’s effectiveness. Mac and Linux systems surged in use, web-based applications exploded, and organizations have gravitated towards cloud data centers. 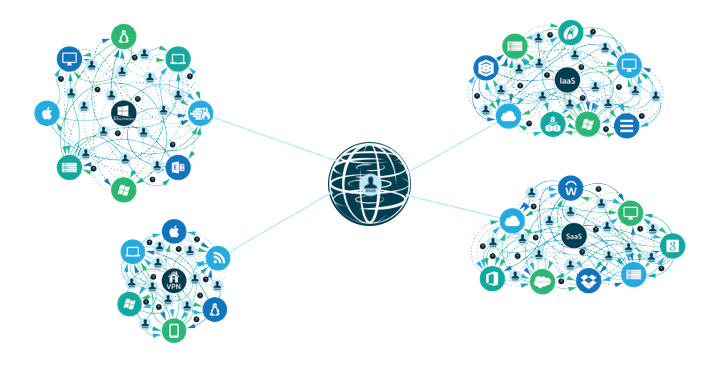 In fact, Cisco recently reported that 94% of workloads and compute instances will be processed by cloud data centers by 2021. Only 6% will be processed by traditional data centers. Additionally, 75% of the total cloud workloads and compute instances will be Software-as-a-Service (SaaS). It’s clear that these new resources are here to stay, and unfortunately all of these new tools have destroyed Active Directory’s competence at identity management. To compensate, IT organizations have been forced to adopt costly or insecure management methods. So, the idea of using a form of Active Directory that is delivered as-a-Service is not a satisfying solution. Rather, modern IT organizations are interested in a cloud identity provider that is cross-platform, multi-protocol, provider independent, and location agnostic. This approach to cloud directory services would truly replace Active Directory for IT organizations and completely shift their identity and access management process to the cloud. This approach is called JumpCloud Directory-as-a-Service. The benefits of JumpCloud’s complete SaaS alternative to AD are significant. 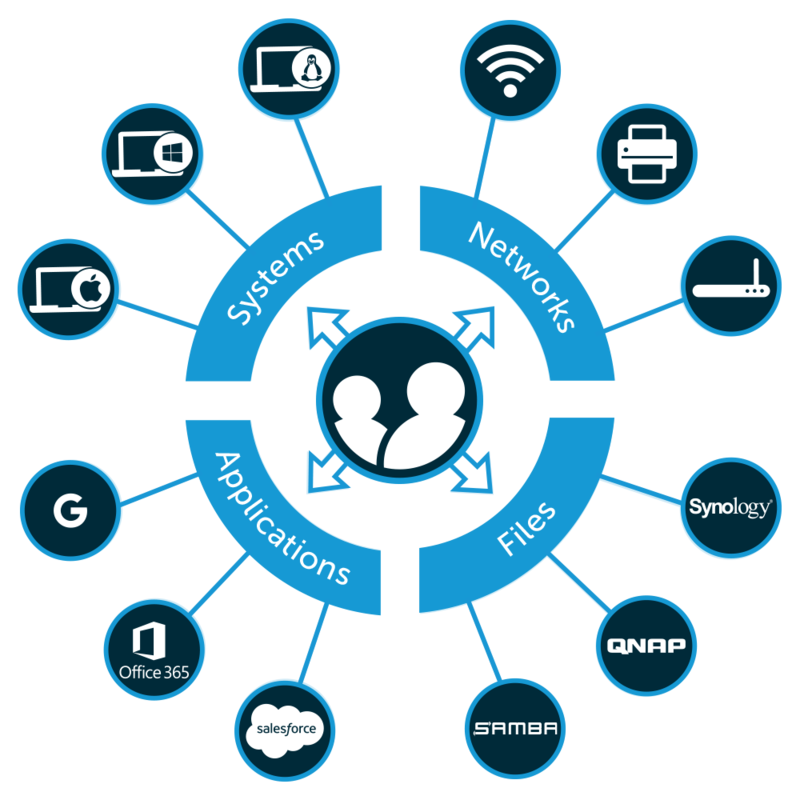 IT organizations no longer need to install, configure, and manage AD. Instead, all of these tasks are handled by the identity services provider. Another critical benefit is the ability for organizations to leverage whatever IT resources are best for them whether that is AWS®, G Suite®, Mac and Linux systems, and more. 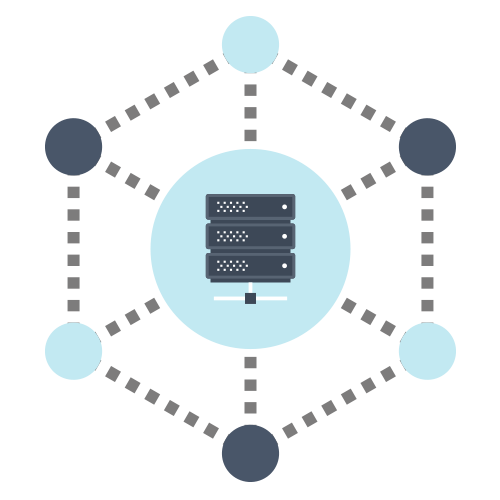 This makes it possible for IT to centralize authentication to systems (Windows, Mac, and Linux), LDAP and SAML based applications, virtual and Samba-based file storage, and wired and wireless networks. Because it’s delivered as-a-Service, our cloud-based identity provider is available on an as-needed basis with organizations only paying for what they need and want. IT organizations can finally abandon their expensive, cumbersome AD setup. Additionally, they’ll be able to gain back time that was spent on configuration and maintenance. Finally, IT admins will be able to properly control users and the modern IT resources in their environment. Interested in learning more about a SaaS alternative to Active Directory? Drop us a note. Of course, you are more than welcome to start testing our cloud-based directory services. Get started by watching the short video above and then signing up for a free account. Your first ten users are free forever.